This and next year look like the golden age of Software Defined Radio! With three new Software Defined Radios being released by three different companies, there is a lot of choice in terms of hardware. 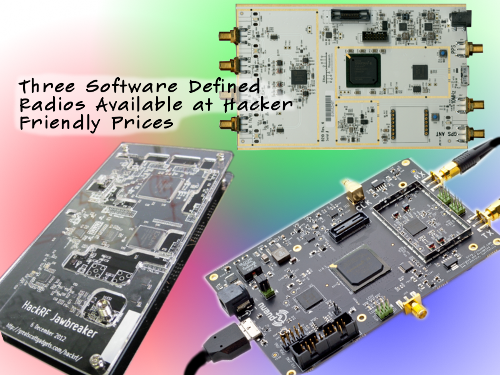 This article compares the HackRF produced by Great Scott Gadgets, the bladeRF produced by nuand, and the USRP produced by Ettus.